Isabel Bercaw - Fizz Boom Bath! 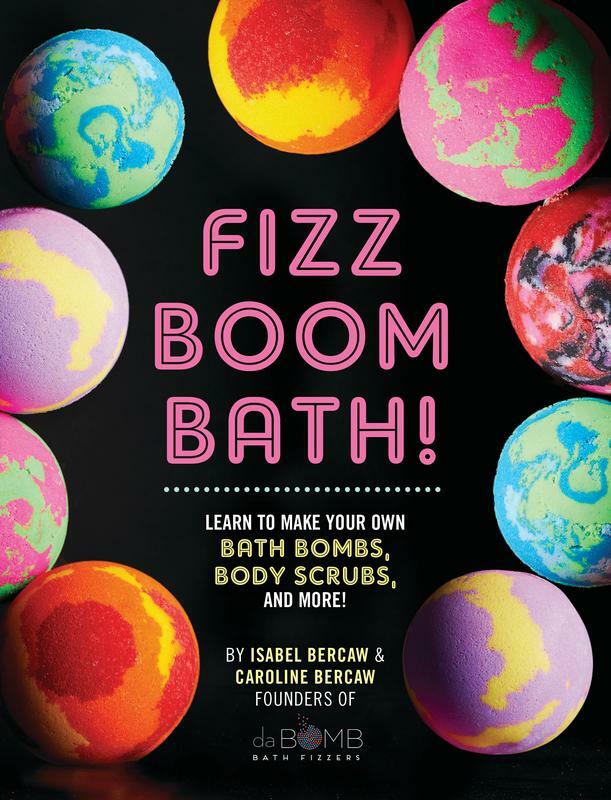 : Learn How to Make Your Own Bath Bombs, Body Scrubs, and More! From fizzers to scrubs, masks to soaps, bubble bars to shower melts, Fizz Boom Bath! is your how-to source on all things bath-time beauty. Have you ever found yourself staring longingly at a table full of scrumptious-looking bath bombs, shower melts, or lotion bars for sale and thought, "Gee, it would be fun to make these at home, but where the heck would I begin?!" 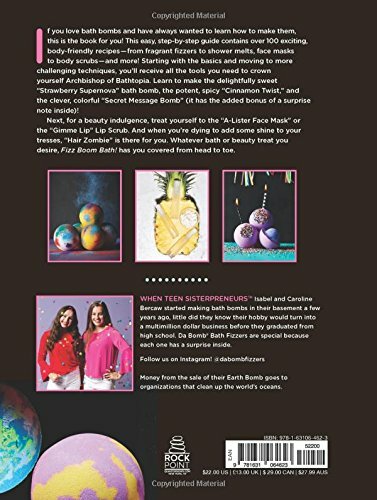 Teenage "sisterpreneurs" and creators of Da Bomb Bath Fizzers are here to take the mystery out of bath and body recipes and give you all the tools you need to crown yourself Archbishop of Bathtopia. Isabel and Caroline will hold your hand every step of the way-and then exfoliate it with some sugar scrub when they're finished! This book will teach you how to create all kinds of delightful, natural, homemade bath treats. Fizzers, scrubs, masks, soaps, bubble bars-Fizz Boom Bath! has you covered.